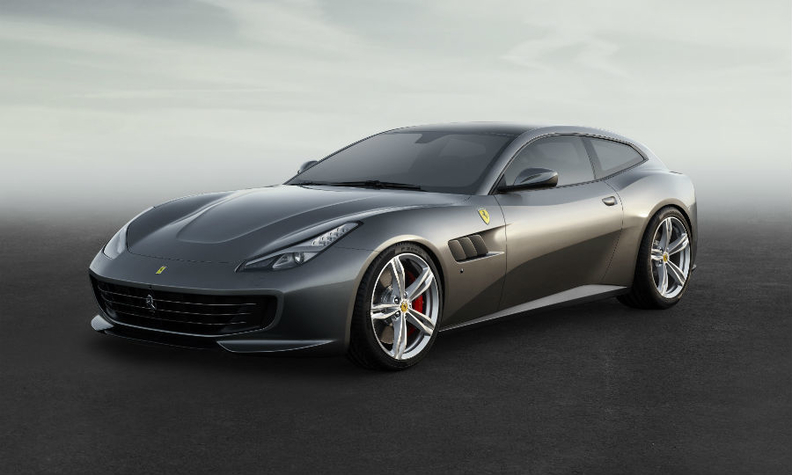 Cars such as Ferrari GTC4Lusso will get a big price hike in China. Editor's note: The Lamborghini Urus SUV is going on sale in 2018. An earlier version of this story gave the incorrect year for the product introduction. BEIJING -- China is introducing a 10 percent tax on cars such as Ferrari GTC4Lusso, Bentley Bentayga and Aston Martin DB9 in a bid to combat conspicuous consumption and promote more fuel-efficient vehicles. Buyers of autos costing 1.3 million yuan ($189,000) or more will be hit with the tax starting today, according to the Ministry of Finance. The levy on "super luxury" vehicles is meant to "guide reasonable consumption," lower emissions and save energy, the ministry said in a statement on its website. The tax is China's latest move to tone down spending by the country's growing ranks of wealthy consumers. While the additional cost will be a limited deterrent for people willing and able to spend vast sums on a car, it's another drag on these vehicles just as they were showing signs of recovery amid President Xi Jinping's calls for thriftiness. It also comes as the government considers extending a tax cut on smaller cars due to expire this month. Carmakers played down the impact, saying the tax hike would only impact a small number of models, while executives said wealthy Chinese buyers were unlikely to be put off by a relatively marginal price hike on already expensive cars. Lamborghini, which counts China as its second-biggest market, sold more than 2,000 vehicles through June this year, a record tally for the carmaker. The Italian supercar maker also is planning to begin sales of the Urus SUV next year. Analysts and carmakers said the higher tax rate would likely have only a limited impact on mainstream luxury brands such as Mercedes-Benz, Audi and BMW that dominate China's premium car market segment. "The majority of our business will not be impacted. But because this was just announced yesterday, we are still evaluating to see what impact we might see on our business," a Beijing-based BMW spokesman said. He added that only "a small portion" of the cars BMW sells in China were priced above 1.3 million yuan. Audi said that cars above 1.3 million yuan made up less than one percent of its deliveries in China. "Emotion and status are significant drivers for the upper premium segment. The effect on deliveries should be limited as the new tax rate concerns all manufacturers," the carmaker said. Mercedes-Benz did not respond to requests for comment. Aston Martin "constantly adjusts to specific conditions in the markets in which we do business, and will do so for this taxation change in China," a spokesman said. A spokesman at McLaren Automotive declined to comment beyond saying the carmaker was aware the Chinese government had been considering the move.